The world's strongest guitar string! D'Addario NYXL electric guitar strings will bend farther, sing louder & stay in tune better than any string you've played before. Choose your gauge & rock on! D’Addario NYXL guitar strings will bend farther, sing louder, and stay in tune better than any string you’ve played before. Envisioned, perfected, and manufactured by D’Addario in New York, this newly engineered, break-resistant, high-carbon steel core and plain steel alloy delivers a whole new level of freedom, confidence, and power. NYXL’s provide more strength and 131% greater tuning stability by utilizing a completely reinvented wire drawing process coupled with a revolutionary "fusion twist” process for the plain steels. The reformulated nickel plated string windings have greater magnetic properties resulting in higher output and enhanced mid-range frequency response for more presence and crunch. 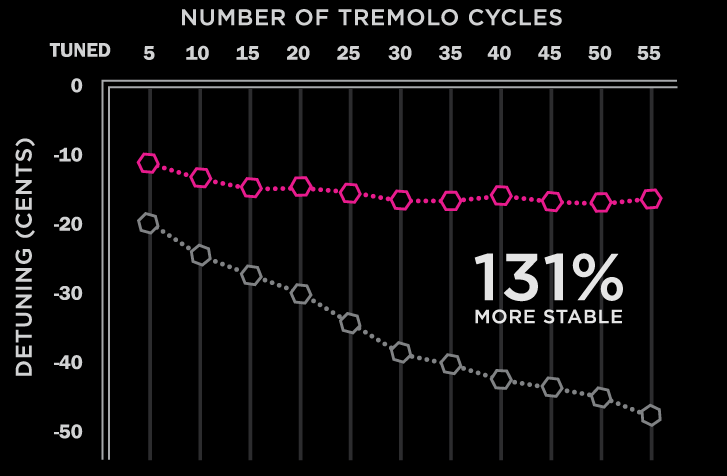 Put more power in your power chords. 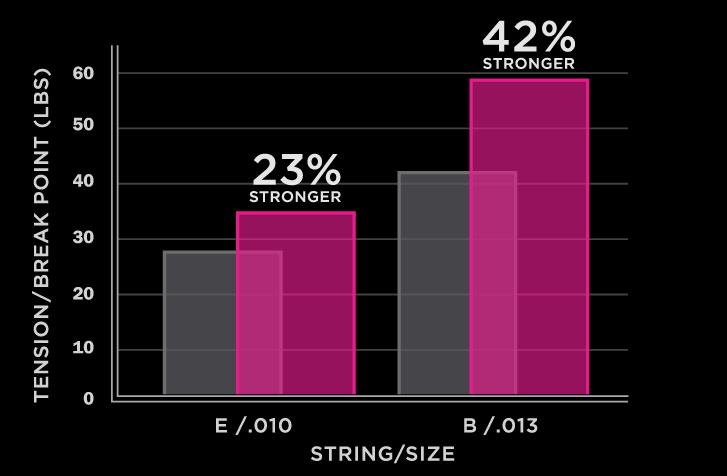 Strength tests prove that plain steel NYXLs are up to 40% stronger than anything you’ve ever played. Each of our unwound strings is coated in a molten tin bath to create an even, consistent coating for corrosion protection. NYXL strings are indisputably the strongest strings ever made. With our proprietary wire drawing process, D’Addario is the only company with this kind of science and this quality of sound. Our engineers created a machine to not just play NYXL strings, but to torture them. In this video, a machine is rigged to stretch .010” strings from an E to a G sharp. 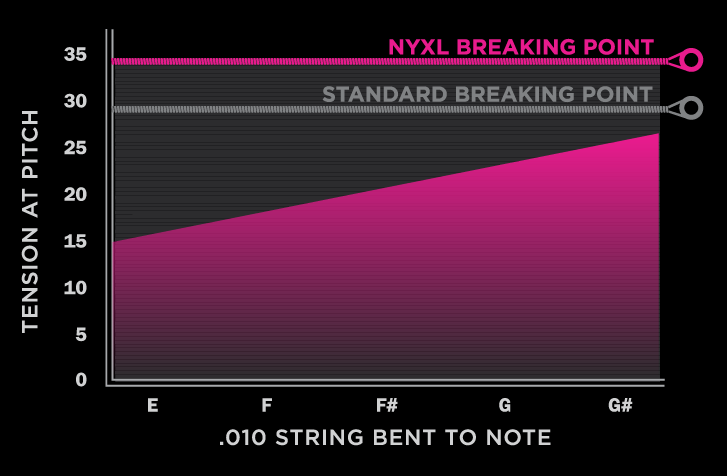 NYXL strings boast a sound and feel you’ll have to play to believe. 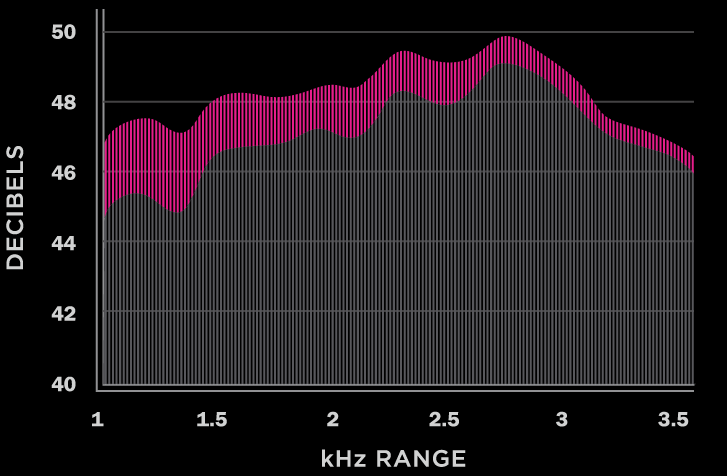 But to get here, we put the strings to the test the same way you will: loud, hard, and mercilessly.